the album that david murray & i (& many others!) have been working on is finally available on dust-to-digital/parlortone records! 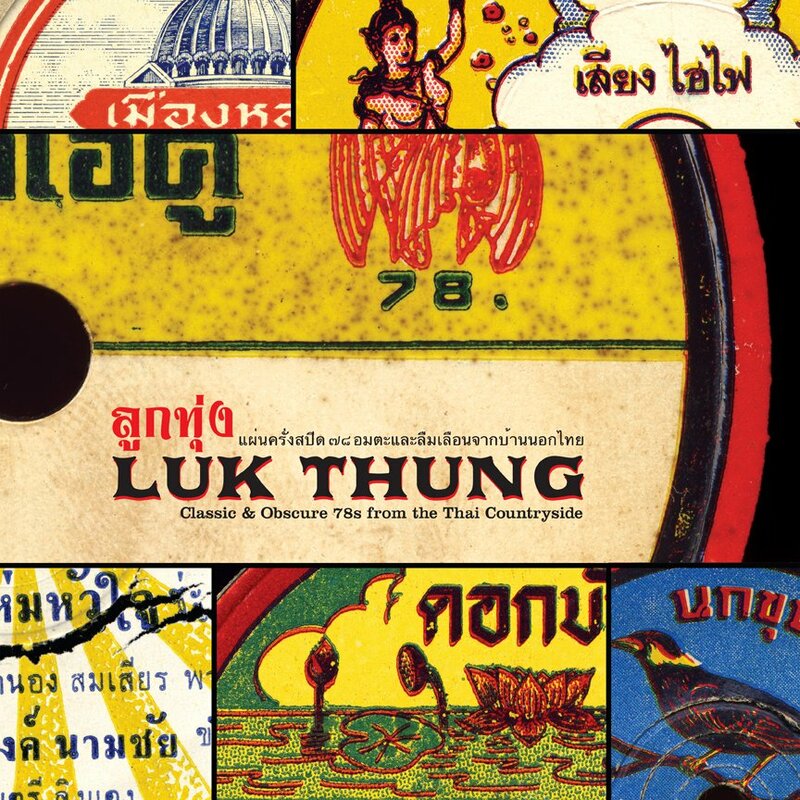 compiled from dave's incredible collection of 78s, this album features 14 beautifully-restored classic early-60's luk thung recordings from the likes of suraphon sombatcharoen, waiphot phetsuphan, phloen phromdaen, suchat thianthong & many more! 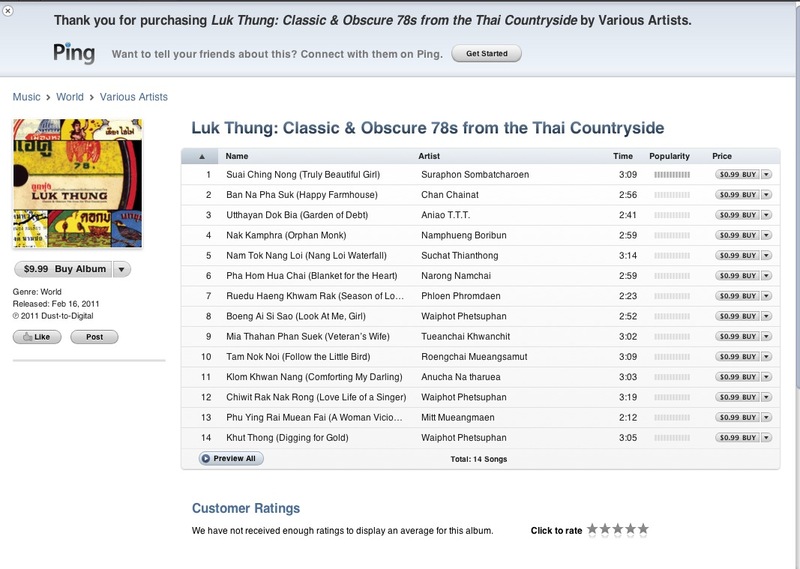 none of these songs have ever been available outside of thailand before (and few have even seen re-release domestically!). 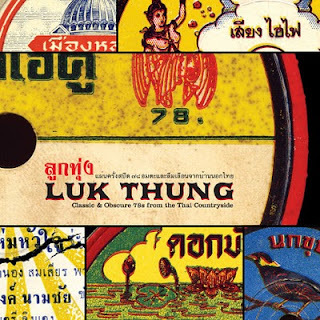 they represent a critical moment in luk thung's history, when internationally-minded pop stars began looking to local folk sounds for inspiration. as a result, you'll hear wild accordions & latin horn sections mingling with thai hand drums & finger cymbals, while singers wail & swagger about life's simple joys & struggles. the lp is pressed on high-quality vinyl with a 6-page full-color insert filled with history & images. if you're without turntable, the album can also be got on itunes and amazon! i hope everyone will check it out, i can't recommend it highly enough! thanks so much! needn't mention that it means a lot coming from you!! Fantastic, Peter. Congratulations! Dust-to-Digital doesn't miss a beat, thus it's no surprise you're involved in this project. Can't wait to dive in head first. thanks doug! again, it means alot! peter- i simply can't wait to pick this up. good for you, sir! Being sadly turntable-less & anti i-store I must wait for amazon ... but I'm really excited!!! Congrats! Congratulations, Peter! Thanks to you and David for preserving and making available a piece of Thailand's musical heritage. I just got my download from iTunes. The sound quality is superb and the songs are fab. Great job! BTW, is there any way I can acquire a digital copy of your liner notes? and yeah, jon ward (of excavated shellac) did an incredible job with the transfers! ah thanks, dave... great work done by both those guys! Congratulations! Just bought the iTunes version, and I'm loving it. I'd love a gander at those liner notes too, if it's not too much trouble. Here is my proof of purchase. Thanks! Dave, Peter, and Mike Graves did an excellent job. And the design rocks. This looks absolutely fantastic!!! Ordered my copy of the LP today from Honest Jon and looking very much forward to hear this comp. Actually I've been hoping for something just like this, a comp not focusing so much on the "western" rock/pop influenced Thai music. If it's not too much work I'd love to get my hands on the tracklist (artists & song titles) in Thai script. that's exactly the idea we had in mind for this project... i'm really glad to hear you're into it! i'm excited to hear what you think! You expect us to pay for a bunch of MP3s you ripped from old records and tapes? LOL. i think you misunderstand.. of course i don't expect you or anyone else to pay for anything, and the mp3s that i rip from records and tapes will always be freely available here. what i'm talking about in this instance is a high-quality vinyl record carefully transferred from dave's collection of 78rpm records by jon ward and remastered by michael graves at osiris studios. my only contribution was doing translation and writing the liner notes. i feel like the guys who put this together created something on a different level than what i do here for free, and i think that a lot of people might consider it worth a purchase. Peter, the work you (and David Murray and Dust-to-Digital, etc.) are doing is unassailable. In light of the unending supply of free treasures being shared here there and everywhere, it is a joy to be able to support a project such as this. May there be many more.